Six Degrees of Separation is a monthly link-up hosted by Kate at Books Are My Favourite and Best. Each month, a book is chosen as a starting point and linked to six other books to form a chain. A book doesn’t need to be connected to all the other books on the list, only to the one next to it in the chain. This month’s Six Degrees begins with Steve Martin’s Shopgirl. The Old Curiosity Shop by Charles Dickens, a book full of weird, grotesque and comic characters, a mix of everyday people and characters of fantasy. It has elements of folklore and myth, as Nell and her grandfather, go on an epic journey, fleeing from the terrifying dwarf, Daniel Quilp and travelling through a variety of scenes, meeting different groups of people on their journey. 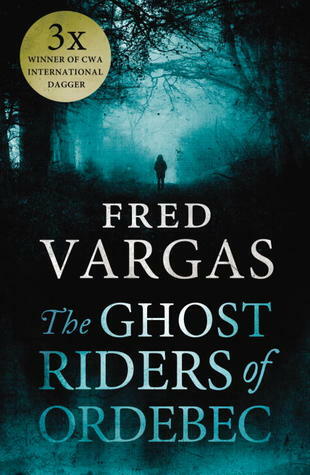 Also full of eccentric and quirky characters is The Ghost Riders of Ordebec by Fred Vargas, an intriguing mystery beginning with the death of an old woman, killed with breadcrumbs, then a car is burnt out with someone inside, and a pigeon is found with its legs tied together so it can’t fly. The main plot is based on medieval myths and legends: the ghostly army that gallops along the Chemin de Bonneval, led by the terrifying Lord Hellequin. 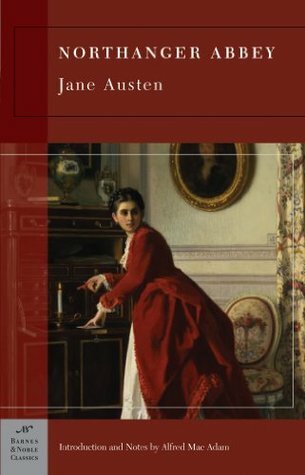 which is Jane Austen’s Northanger Abbey, a parody of the Gothic novels of her day and a love story about Catherine Morland, a naive and impressionable 17 year-old, whose imagination has been filled with visions of diabolical villains and swooning heroines from those Gothic novels. Another author named Jane is Jane Casey, the author of the Maeve Kerrigan series. The Burning by the first in that series. Maeve is on the murder task force investigating the case of the serial killer the media call The Burning Man. Jane Casey is an Irish author. 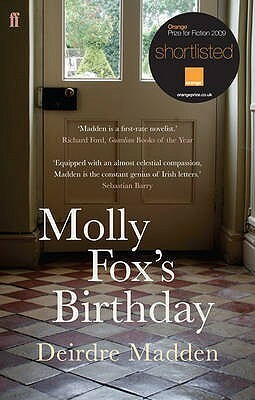 This links to another Irish author Deirdre Madden, whose book Molly Fox’s Birthday is a novel about identity as well as family and friendship, about how we see other people and how they see us. My chain has gone from Los Angeles to Normandy, Romney Marsh, London and Dublin, from contemporary books to to murder mysteries and the classics. Where will other chains lead, I wonder? Very unusual links, really enjoy how you managed to bring a bit of Vargas and Jane Austen. I enjoyed finding these links – and they occurred to me quickly! I reckon the chain comes easiest when you use the first thing that pops into your head – as soon as I start overthinking it, I stall! Interesting links too, Margaret. 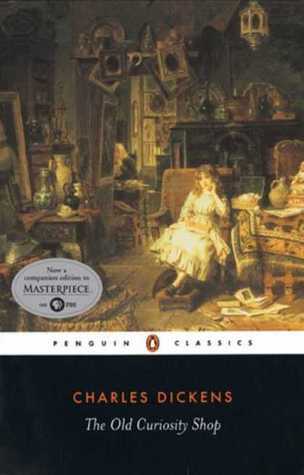 I have read Northanger Abbey (of course) and know Old Curiosity Shop. Love that link. VERY nice! But, don’t know the others at all. Thanks, I was pleased with the ‘shop’ link. Such varied links. Love it! Must read more Fred Vargas – I seem to have half a dozen on my shelves, I’ve enjoyed the couple I have read. Yes Fred Vargas writes such interesting books. I’ve recently finished An Uncertain Place – very different, but also bringing in references to myths – and vampires. Looks like a selection of really interesting books! I’ve read all of them, except Shopgirl, and enjoyed them all. Well this is the most imaginative link I have read so far this month! Obviously a lot of thought put into this one. 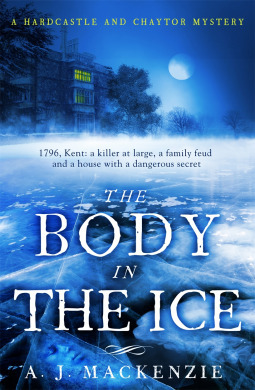 Love the jumps from contemporary to classics to murder mysteries! Congrats! I love how you snuck in a little Jane Austen! I’m thinking that I might need to use Austen as my starting point very soon. I enjoyed The Old Curiosity Shop so much more than I expected, so I hope you enjoy it too. Yes, the killing ‘with breadcrumbs’ is rather unusual! Very clever links here, Margaret. 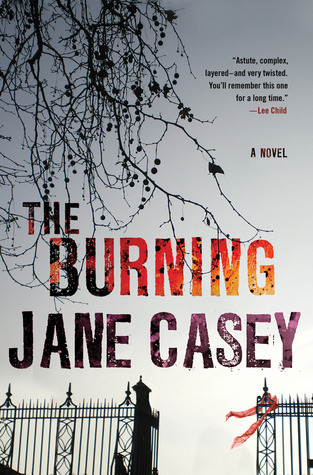 And a reminder of Jane Casey’s series. I like those novels, and was pleased to see the first mentioned. Thanks, Margot – Jane Casey’s books are among my favourites. You did a great job making links in your chain. You make it look so easy! Thanks, Kim. I think it’s best to do the chain quickly without thinking too much about it – that way I keep changing my mind and it takes ages. But I can’t always manage that. Luckily this chain seemed to make itself!